I had made plans to visit The Station Hotel a while back. I’d seen the menu online and was immediately intrigued – getting there however a feat in its self, as it is situated in the maze that is Footscray. Once I’d finally arrived we grabbed menus and took a seat. 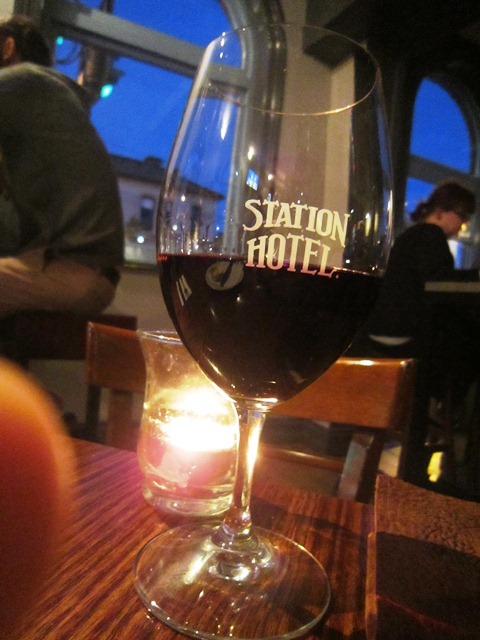 There were two parts to the Station Hotel – a restaurant and a bar. The restaurant has table service, while at the bar you need to order yourself. The wood grained decor features splashes of brick and masonry work, giving off a vibe which makes you feel the building has been there for a while. Now I was hungry so I opted for the 400g O’Connor, Gippsland (VIC) dry aged pasture fed British breeds NY strip steak, ordered medium rare ($50), my friend went with the 300g Kilcoy (QLD) 120 day grain fed Black Angus scotch fillet, ordered medium rare ($38). Both were served with hand cut chips, salad and béarnaise and pepper sauce. As we were deciding our eyes happened on another customer’s burger as it came from the kitchen, and we were immediately overcome with gluttony and ordered the Station Hotel cheese burger with jalapeno mustard, pickles and onion fries ($18) as well cooked medium. About 25 minutes later the food arrived. 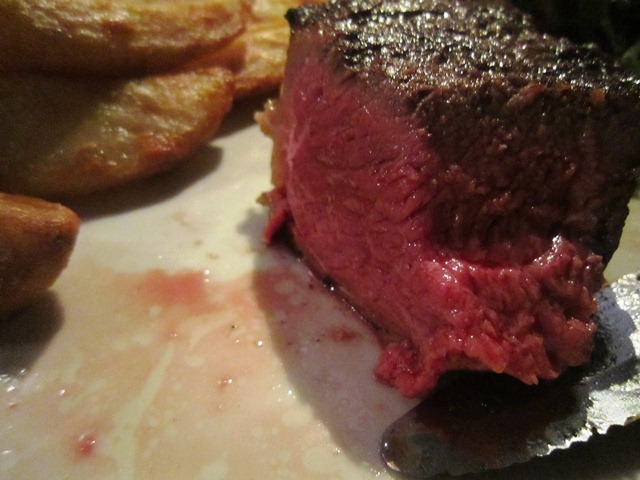 The steak was thick and visibly charred with an enticing aroma coming from it. It was well seasoned with both pepper and salt and had a bold albeit yielding beef flavour. The sides were also great, chips crisp and fluffy and the salad went down nicely. Having ordered it medium rare I was a little disappointed with the outcome, it being much rarer, it didn’t spoil the steak but the waitress did specify that “they’re pretty exact here” so I found that somewhat a letdown. Cutting into it I’d say the tenderness was fair – nothing the steak knife couldn’t take care of – but there were a couple of moments where I did struggle to get all the way through. 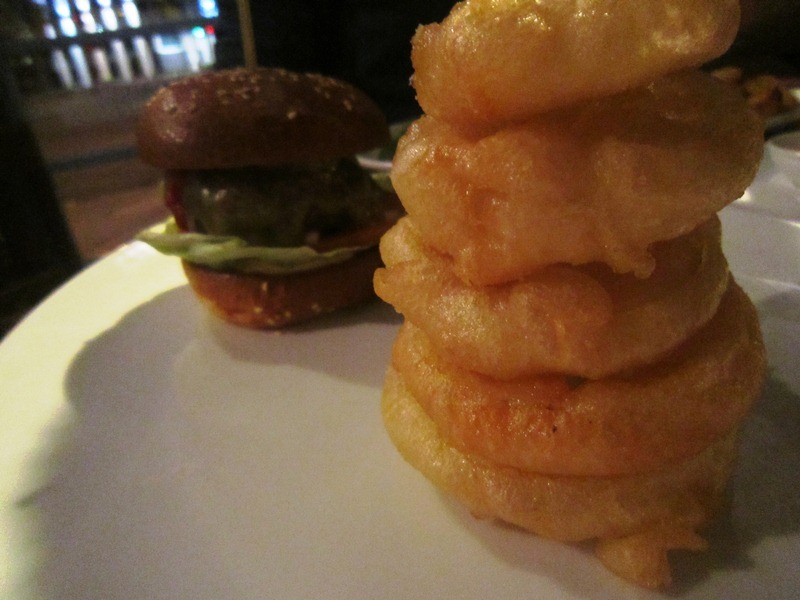 The burger was the last thing we consumed; the onion rings were good, a little heavy on batter but paired with the onion jam on the plate they went down a treat. The burger itself was ok, while the meat was good it was too packed and had no texture however it was perfectly cooked. The bun needed to be toasted in my opinion and felt a little stale. Those being major burger components made for a letdown in comparison to the picture above. 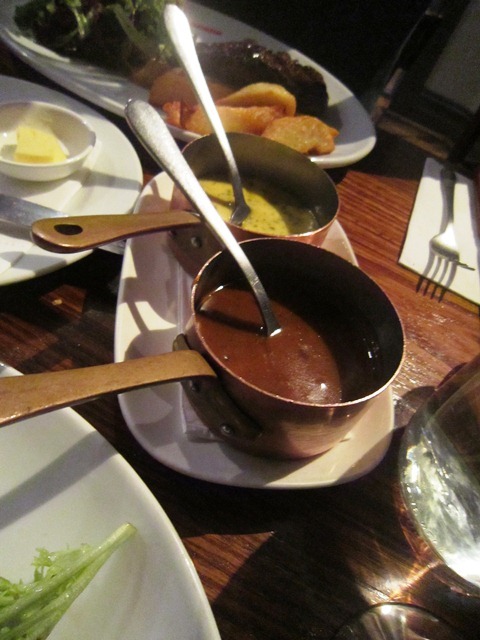 The sauce came in their own little pots, the pepper was creamy, flavourful yet subtle, I really enjoyed it – however the béarnaise was, in my opinion a bit too far gone, It had a slight custardy (the only word I can think of to describe it) taste but still went ok with the chips. All in all a positive experience and I would go back, the steak was satisfying, staff attentive, and I think maybe it was an off night. 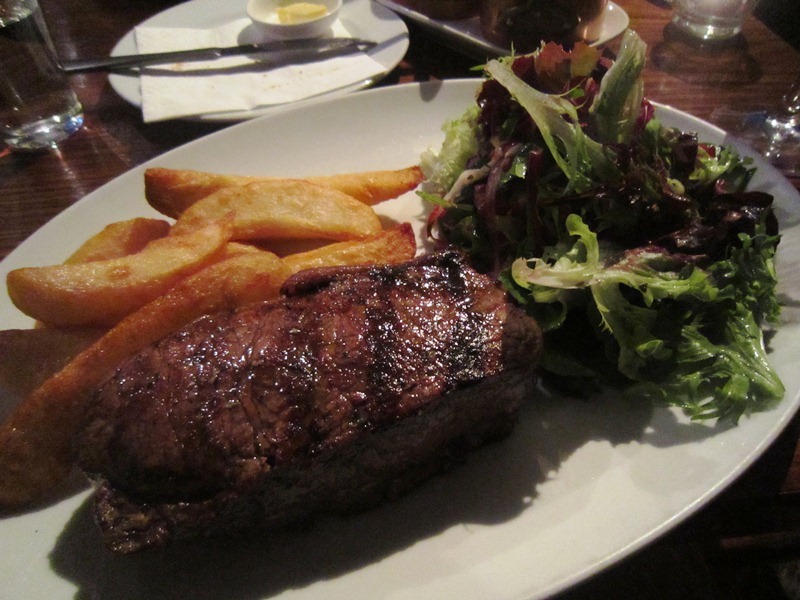 Posted on October 17, 2013 October 13, 2015 by AdrielPosted in Melbourne, SteakTagged Burger, Great, Melbourne, Moderately Priced, NY strip, Station Hotel, Steaks.